Here at Family Dentistry of Grand Prairie, we take care of our patients. Dr. Wilhelmine Park has a gentle touch and a personalized approach to her patients. Our office feels more like a small town dentist than a big city factory. We can’t count the number of compliments we’ve received about how surprisingly gentle and pain-free their care at Family Dentistry of Grand Prairie has been. It’s the gentleness and attention to detail practiced by all of our experienced staff that truly sets our practice apart. We know that a healthy smile is a beautiful smile, which is why we focus on our patients’ oral wellness with an emphasis on restorative care and preventative treatment. Family Dentistry of Grand Prairie’s comprehensive services include mercury-free, tooth-colored fillings, preventive care, periodontal (gum) disease treatment, dental implant restorations, dentures, and dental emergency care, and we can help you no matter what stage of oral health and wellness you are currently at. Our office is equipped with the latest dental equipment and technology for concise diagnosis of oral disease. Our equipment includes high-end digital radiography and HD telescopic loupes, so that we can further provide you and your family with the comprehensive dental care you need. In addition, we offer affordable and convenient payment options because we understand that everyone, no matter their background or financial circumstances, deserves a beautiful smile and good oral health. Family Dentistry of Grand Prairie is conveniently located for families and individuals in Grand Prairie, Arlington, Mansfield, and the surrounding cities in Texas. For over 20 years, we have been providing affordable, gentle, and high-quality dentistry for the whole family. We always welcome new patients and do our best to accommodate dental emergencies the same day. 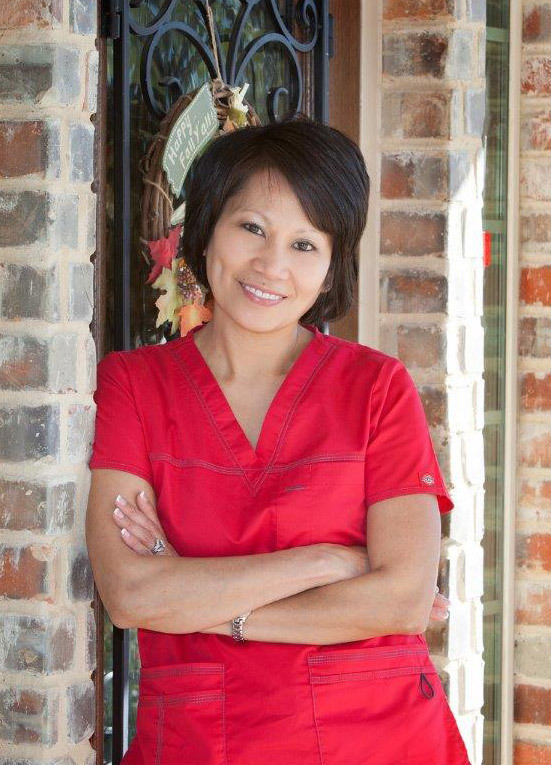 If you are looking for an experienced and caring dentist who will customize her treatment to meet your family’s needs, then we invite you to call or visit Family Dentistry of Grand Prairie today to schedule your consultation with Dr. Wilhelmine Park. Together we can create radiant and healthy smiles that will last a lifetime. We always welcome new patients and accommodate dental emergencies the same day. If you are looking for an experienced and caring dentist who will customize her treatment to meet your family’s needs, then we invite you to call or visit Family Dentistry of Grand Prairie today to schedule your consultation with Dr. Wilhelmine Park. Together we can create radiant and healthy smiles that will last a lifetime. © Copyright 2019 Family Dentistry of Grand Prairie. All Rights Reserved.